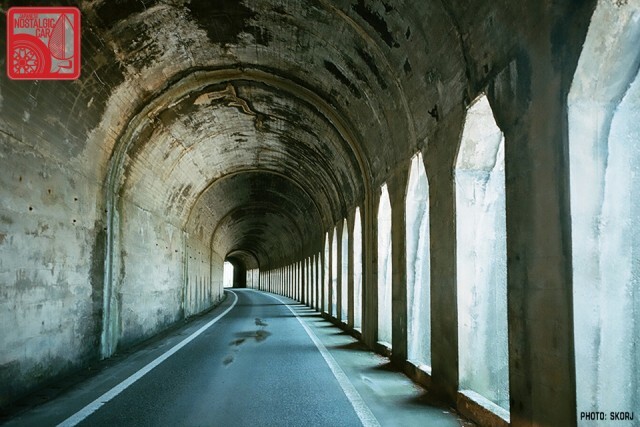 With a four-day weekend planned, we left Tokyo on a clear Tohoku Expressway one Thursday morning. 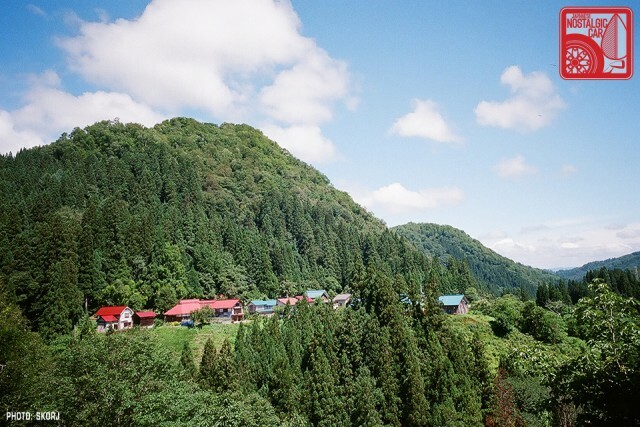 After driving for about four hours and spending ¥7000 in tolls, our first stop was in the mountains of Yamagata-ken. 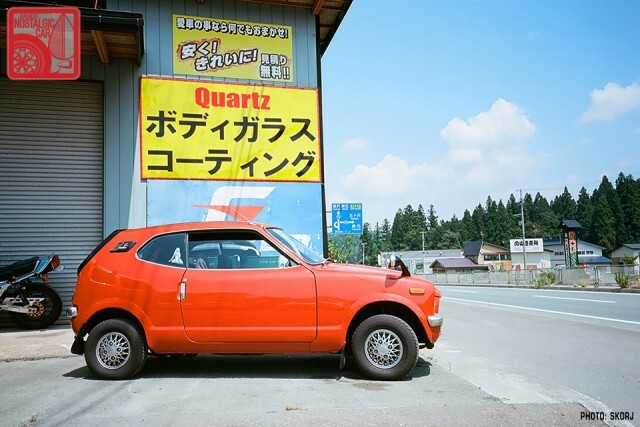 Upon exiting the expressway we immediately saw a well-kept Isuzu 117 Coupe. Isuzu’s 117 Coupe was a luxuriously equipped grand tourer, with all models fitted with full instrumentation and a number of luxury items: rear wipers, alloy wheels, twin headlamps, headlamp washers, velour interiors, air-conditioning, and numerous other niceties that made them one of the most expensive local cars sold in Japan at the time. With a few versions built over their life-cycle, the square headlights on this silver one we spotted identified it as a late model third-generation version. 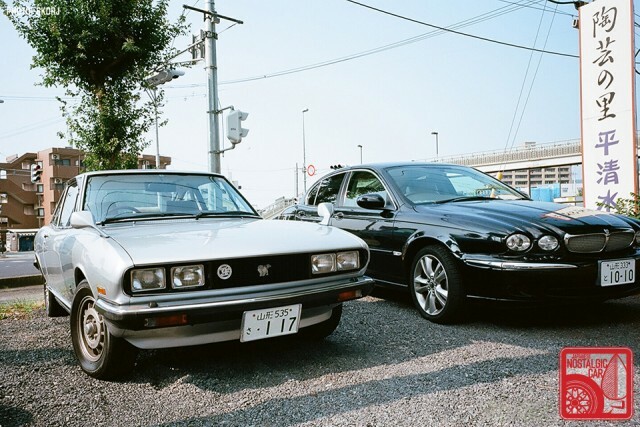 Although not on original plates, its JAF badge cemented the oji-san conservative nature of the 117 Coupe. 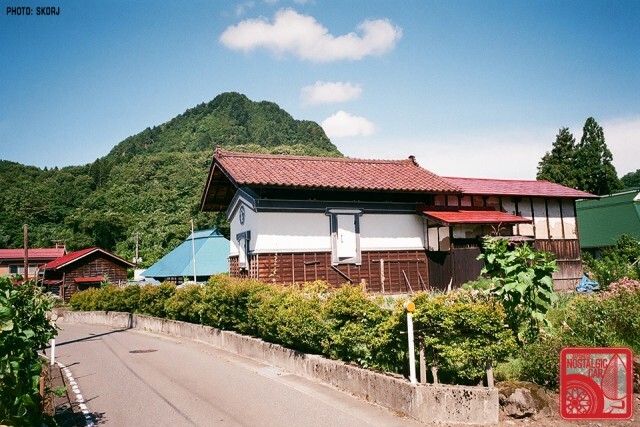 Our first overnight was in the old castle town of Kaminoyama. 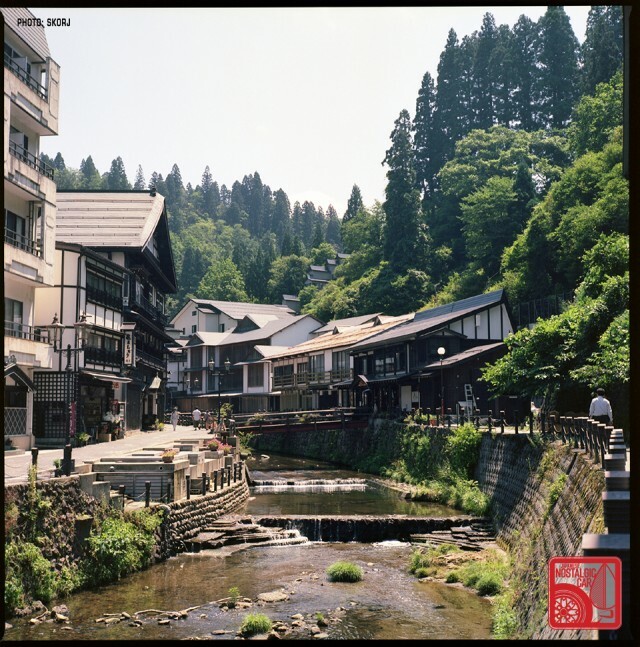 With natural hot springs in the area, it grew into an onsen town many years ago. 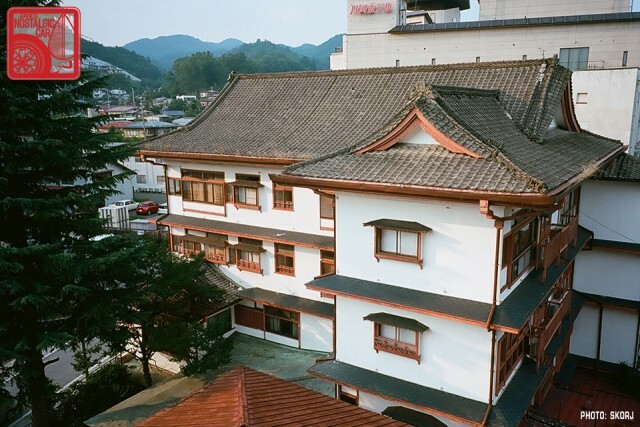 Our ryokan, located in the center of the old town and built in the post-war peak of 1960s Japan, was equipped with a top-floor bath commanding views over both the rest of town and the mountains in the distance. The next day we took a slow walk around the old castle, the street of old samurai houses, and the many hundreds of period kura still populating the streets. 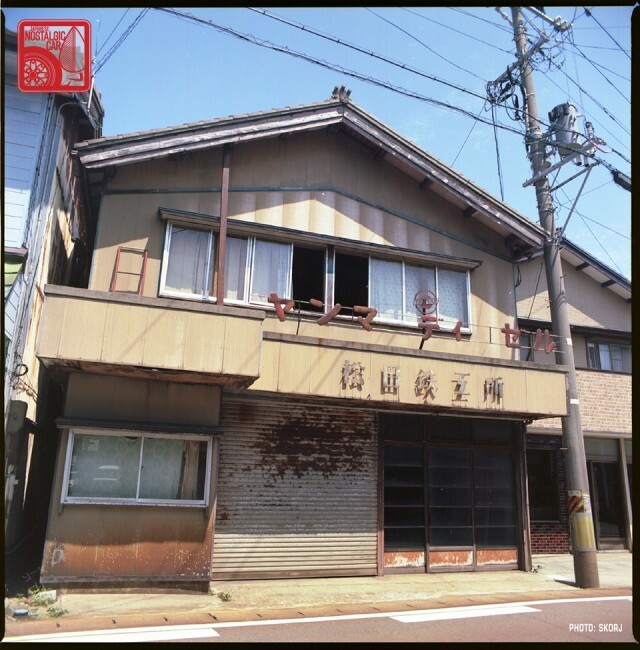 Some remain storage houses as was originally built, but others have been converted into shops, cafés and, in some cases, homes. 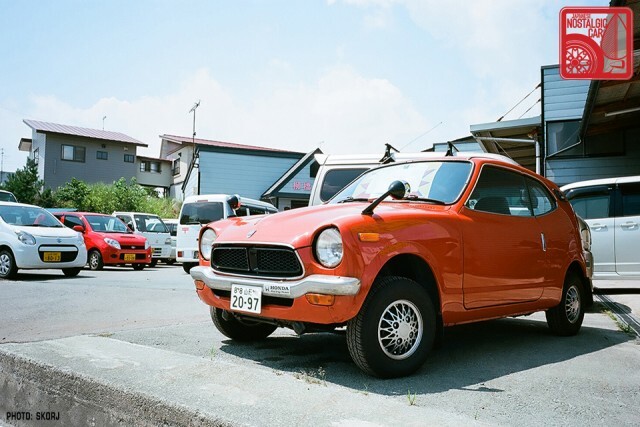 A Honda kei with owner-applied racing stripes was parked next to one particularly large kura. After lunch (a locally made nasu-soba) we drove further into the mountains, via ever- smaller roads and tunnels to the famous onsen town of Ginzan. 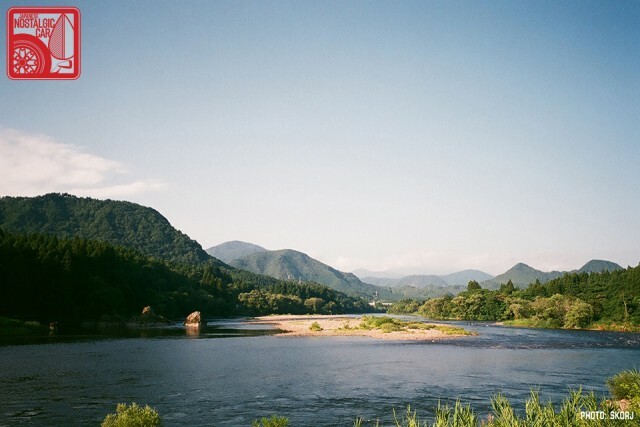 On either side of the river were Taisho and Meiji era ryokan built for visitors to overnight and enjoy the natural hot springs in the surrounding area. 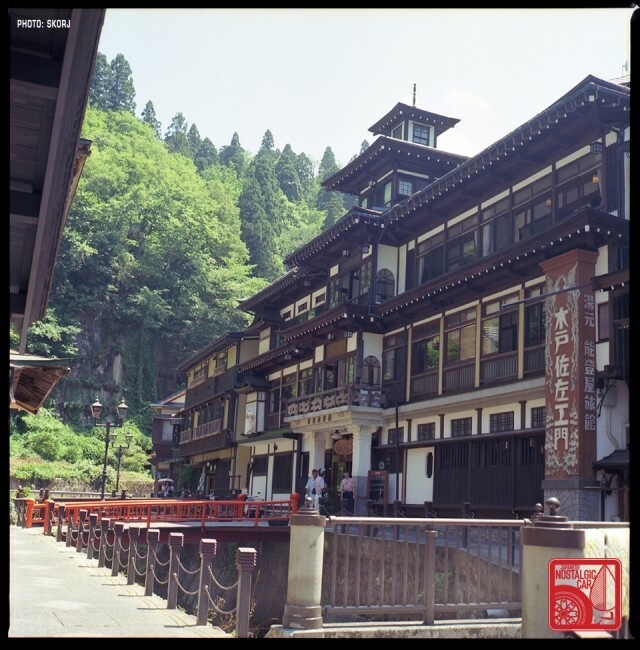 Accessible only by walking, most have private facilities for guests to enjoy and foot onsen are helpfully provided in the main street too. 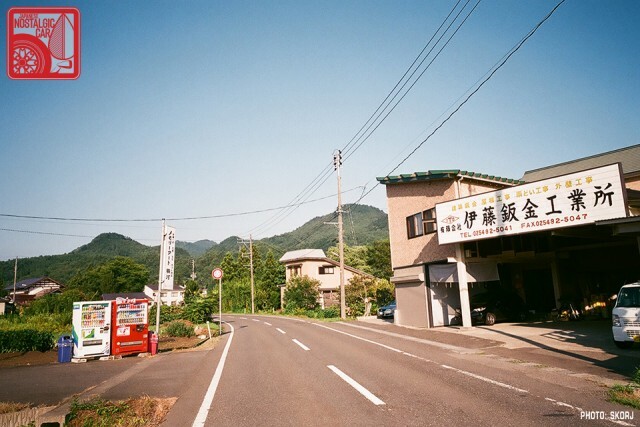 Our next stop was the coastal town of Sakata, and coming down out of the mountains we passed many villages. Preparing for the pending rice harvest, oba-san made their lunchtime rounds on Honda Cub with seriously cute wicker baskets. On 35°C days the ubiquitous vending machines were always available for a cool drink. 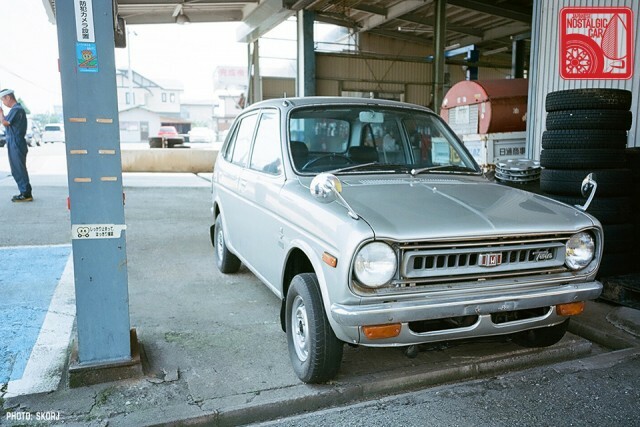 Approaching Sakata — a town fabled for its 500 years of rice transportation — we stopped at Towa Motors to talk to their shacho about the silver first-generation Honda Life 360cc. This was the first Life we’d seen badged “Twin,” perhaps a reference to its twin-cylinder configuration. Before we could get confirmation, the shacho apologized profusely and excused himself as he had a buyer wanting to go over the car in detail. 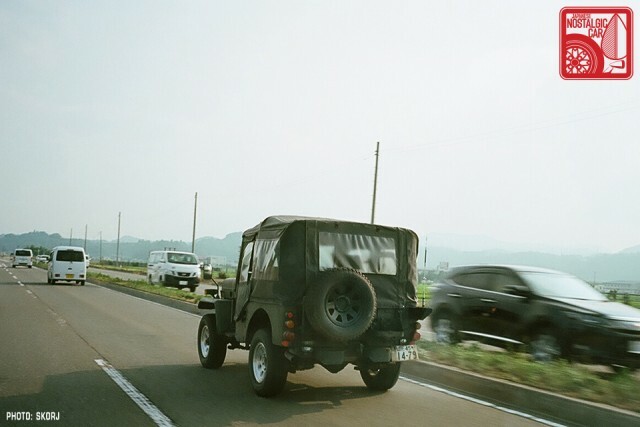 Leaving Sakata, we followed a Mitsubishi Jeep on original plates as we again traversed low mountains and their rice-growing valleys. 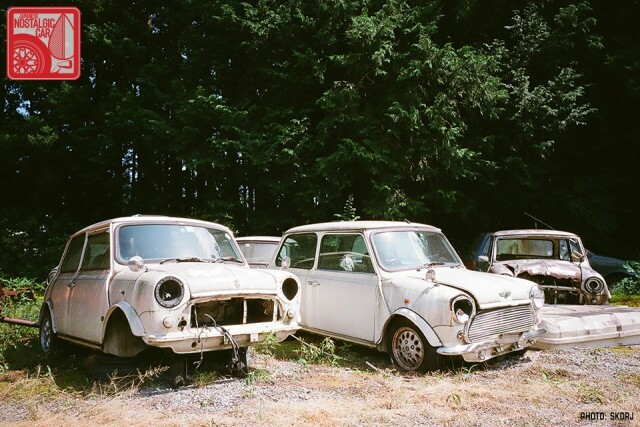 In one village between snow tunnels, a field of BMCs was parked next to a shop specializing in Minis. We chatted briefly to the boss as he was selling one of two identical red Coopers to a potential customer. 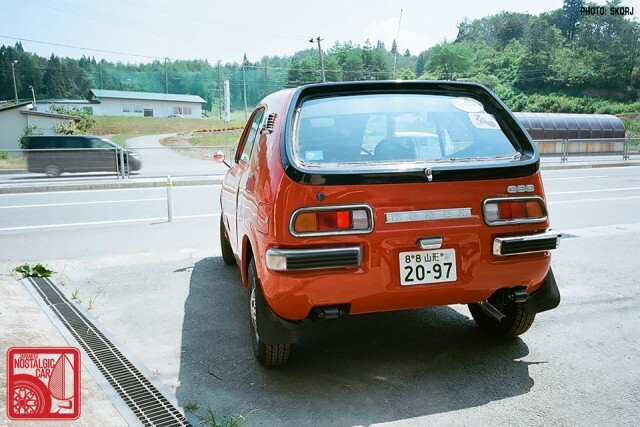 A bit later in the day, a well-stocked Subaru kei yard attracted our attention with a Pop Orange Honda Z parked out front — on original issue Yamagata-ken plates and period alloys no less. Identifiable as a last-run version by its pillar-less design and lack of spare wheel trunk between the rear bumperettes, the domestic market-only Z360 GSS looked pretty snappy. While the boss was busy with customers, he gave us permission to crawl over and photograph some cars in his shop. 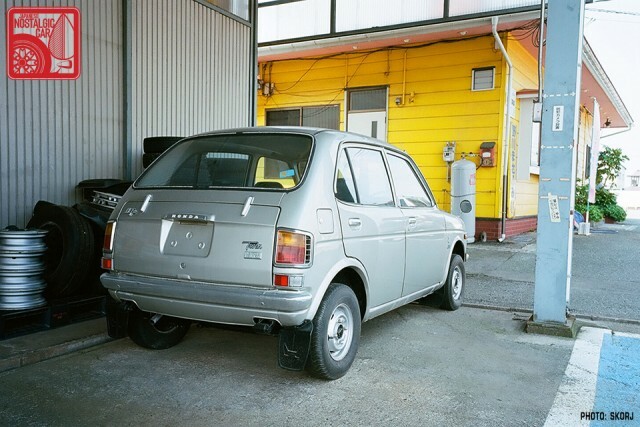 Notably, a U11 Bluebird and a cack-brown X30 Toyota Mark II with a splendidly disgusting tan crushed velour interior were there to receive work. Tucked away under covers were a few Cedric and a Laurel too, all in various non-running conditions. 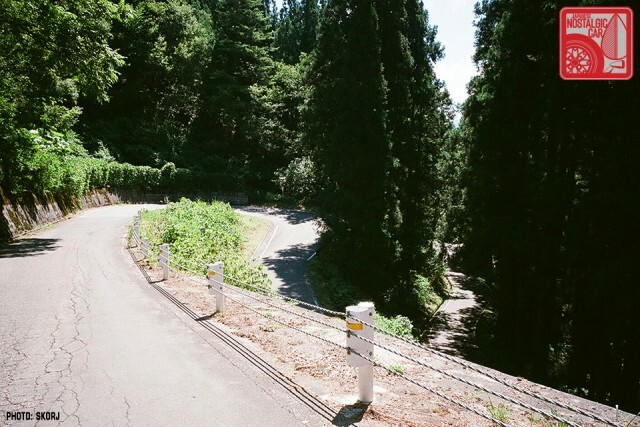 A quick stop on one touge had us passed by squadrons of sport bikes and one sanitora, all of whom promptly disappeared down the twisty road, leaving us with the sound of their four-throated carburetors singing away. 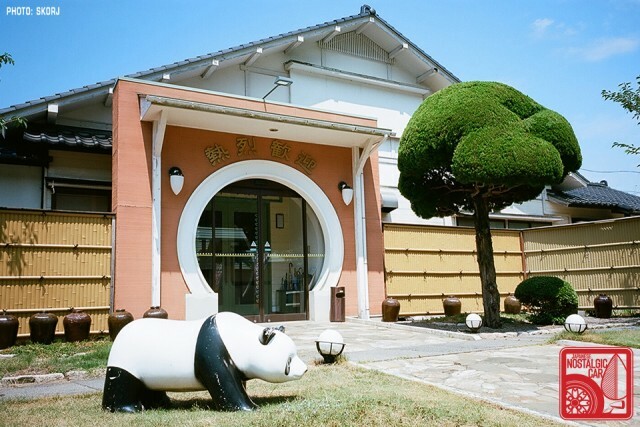 Halfway down the hill we stopped at a curiously twinned flower nursery and soba restaurant. Perched next to a river and overlooking a small waterfall, on this hot day no air-conditioning was present, just the windows open to the mountain breezes and the sound of falling water next to us. 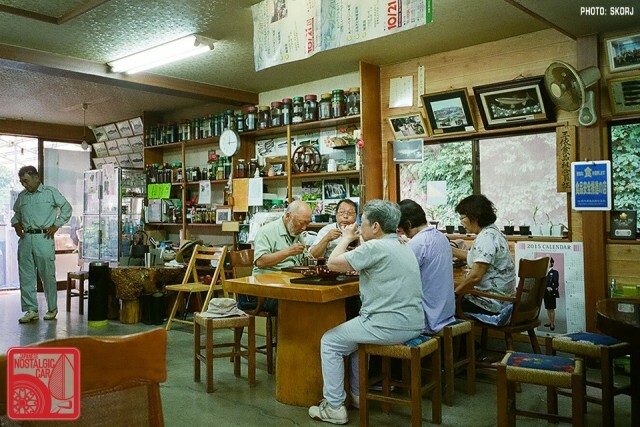 In our world of family-run Nihon lunch stops, it met a number of important criteria — frequented heavily by workers clad in clothes purchased at the local Workman, a TV in the corner showing mid-day programs, boxed and framed inked papers of caught fish (one is usually enough to secure quality food), and signed TV talento cards framed in sequence on the walls. 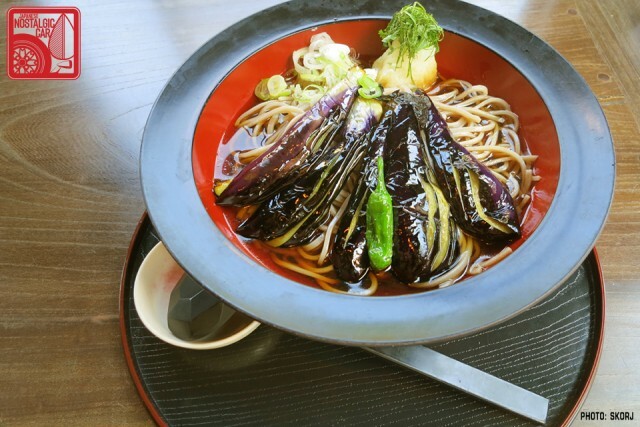 For those not familiar with casual mountain lunches in Japan, the menus are short, usually populated with a few stable soba and udon variations — hot or cold, sansai (mountain vegetable), tenzaru (buckwheat), yasai (vegetable), etc), with maybe a local variation as their susume (recommended) item. Tissues, water hot and cold, cha (tea), or mugi-cha (barley roasted tea) are provided as sabisu (complementary) and are usually self-serve from a dispenser. 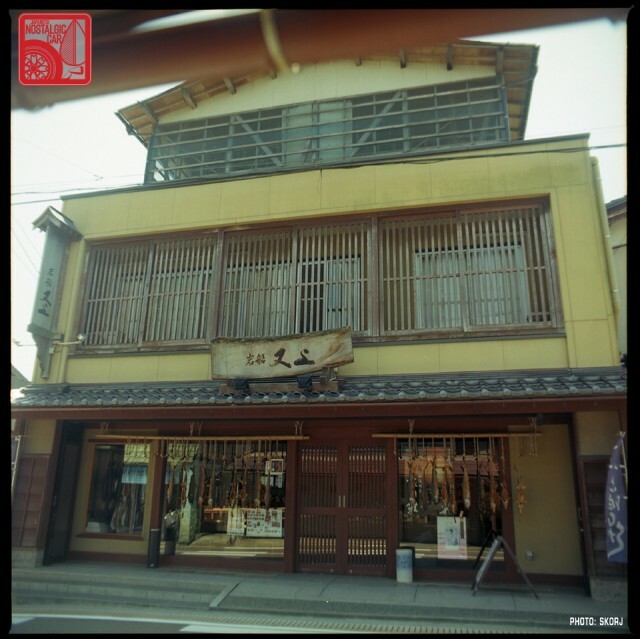 A red or perhaps blue flag outside with the easily recognizable そば (soba) or うどん (udon) identifies restaurants in the smallest of places. 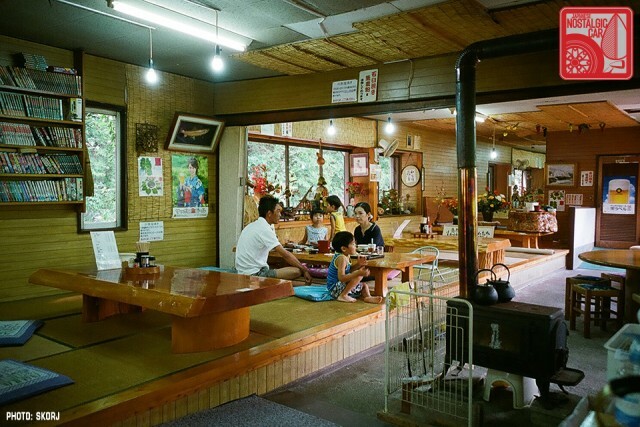 In even smaller villages with no casual restaurants, a lunch can still sometimes be found by asking a local. 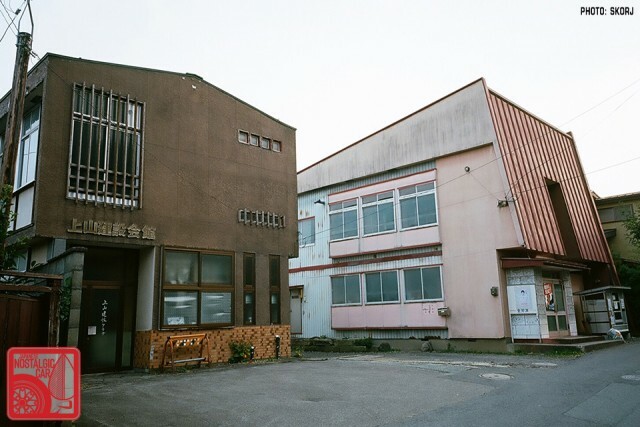 If you are lucky enough the recommendation to visit someone’s home — usually with the capacity to make lunches for visiting workers — can secure one or two set meals for a reasonable cost of a few hundred yen. As we approached our last evening stop, rounding one corner I was once again tricked into thinking an old VW Typ-2 van was being used for deliveries. 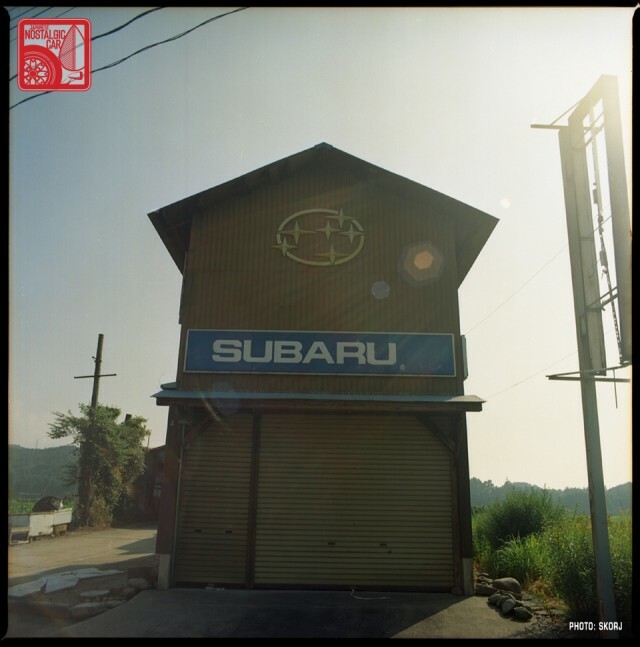 It was, as usual however, a Subaru kei with dress-up parts. 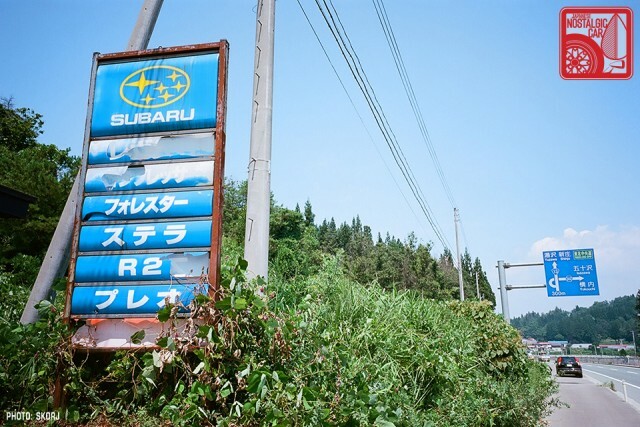 If not sold from, it was perhaps serviced at the massive Subaru dealer at the bottom of the hill, which despite the state of its main sign, was still a going concern. 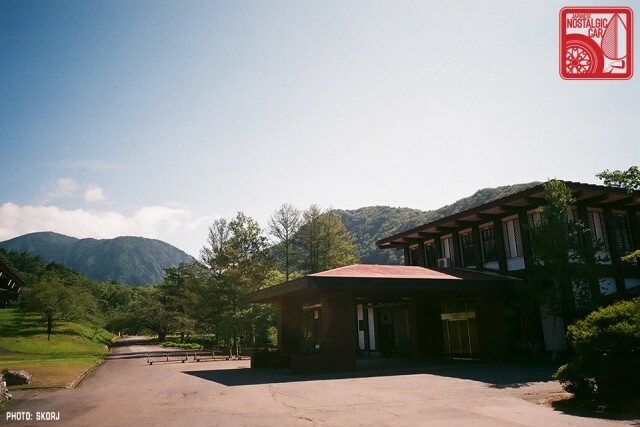 Our stop for the evening was an isolated ryokan built in the mid-century North American hunting lodge style. At the bottom of a ski-in, ski-out set of slopes and lifts, it commanded tremendous views in all directions. 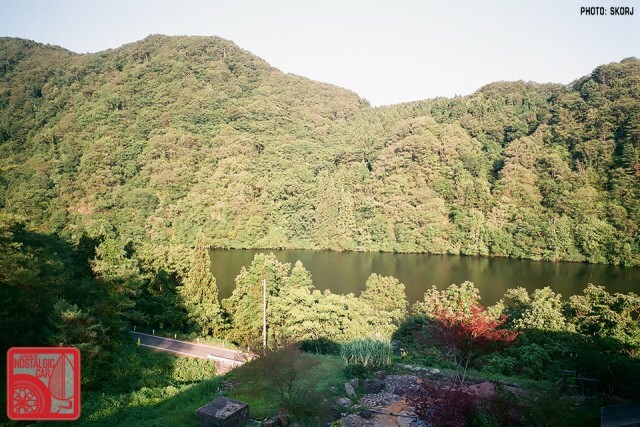 For us, in the hierarchy of onsen, there are a number of steps to enlightenment. 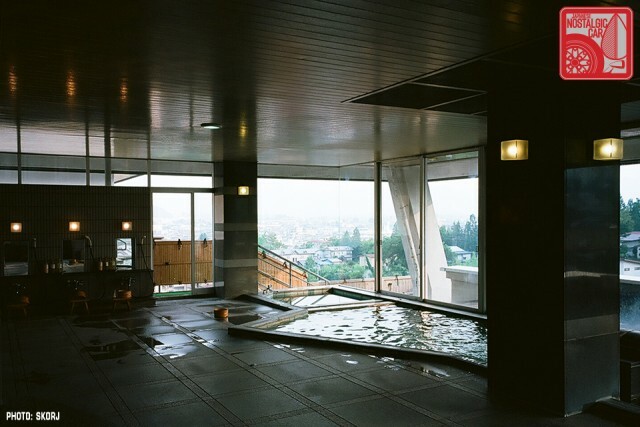 While we prefer onsen over the utilitarian sento (bath of heated tap water), the rotenburo (outside) onsen is preferred over the conventional indoor facility — particularly under snow, where our favorite at Minakami has yet to be beaten. Of the rotenburo, the konyoku (mixed) is tremendous, as you can sit there with work colleagues, friends, golf-buddies, and partners with no concern for not being able to mix the sexes. 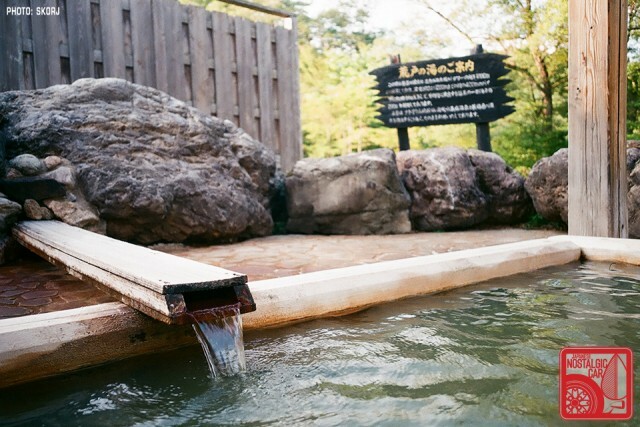 Sipping a cup of atsukan (warmed nihonshu sake) heated by the onsen waters just adds to relaxing experience. 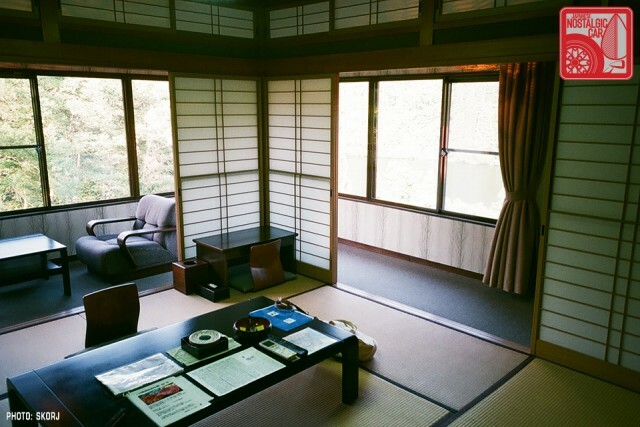 One of the best, though, is the private konyoku rotenburo, and though we did not know it when we booked, arriving at the hunting lodge near Aga we were pleased to find our room included just that. Adding to the sublime rotenburo was the extensive dinner of sashimi, fresh mountain trout, and vegetables. 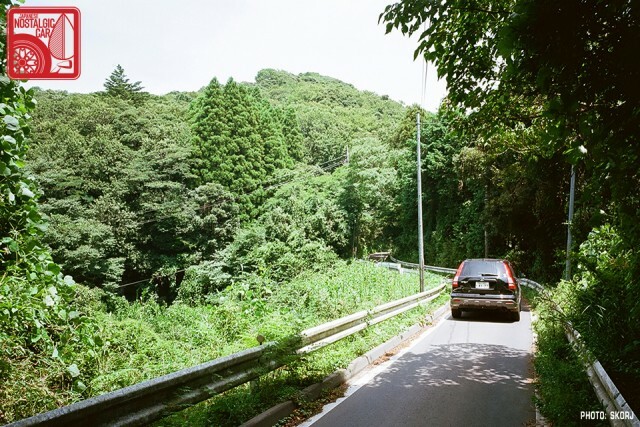 The next day we embarked on two-way roads through the mountains barely wide enough for our full-size car. 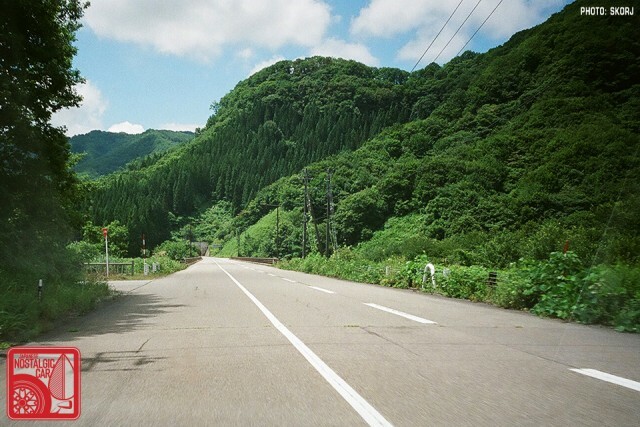 Even the ubiquitous screaming kei-trucks would have found this road difficult to pass on at full speed! 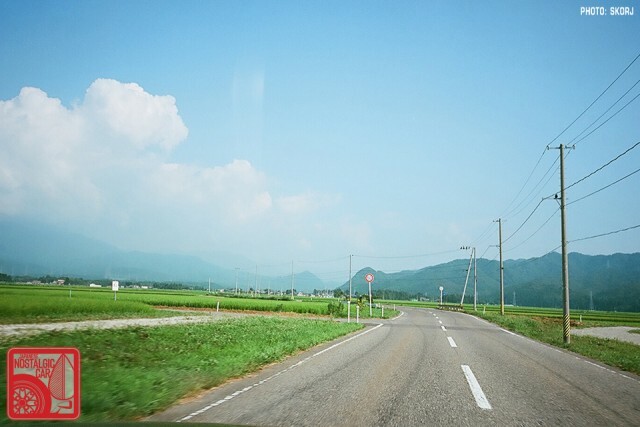 Coming down to the coast, we watched as rice-farming infrastructure was replaced with fishing and surfing support. 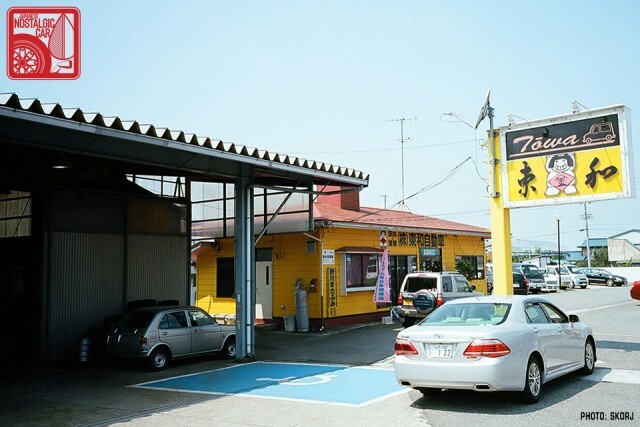 Boat shops, board rentals, and many fish restaurants nestled among the old buildings behind the tsunami wall. 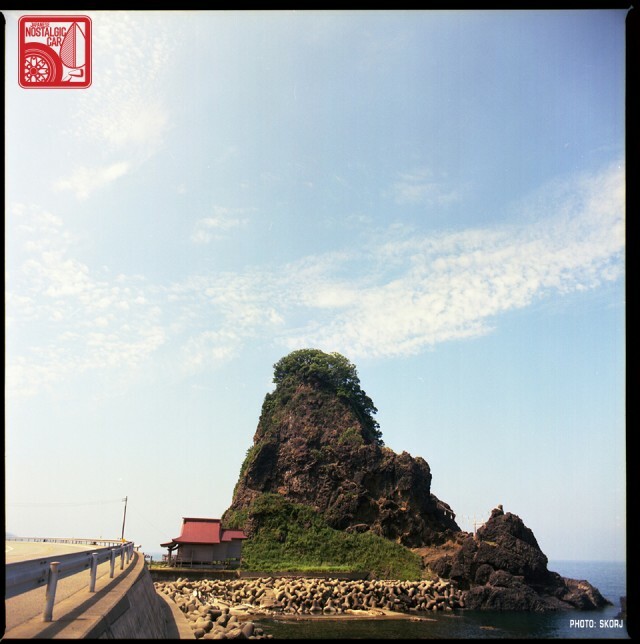 Seaside shrines and lone tree outcroppings added to the scenery as we wound our way south down the coast to Niigata-shi. 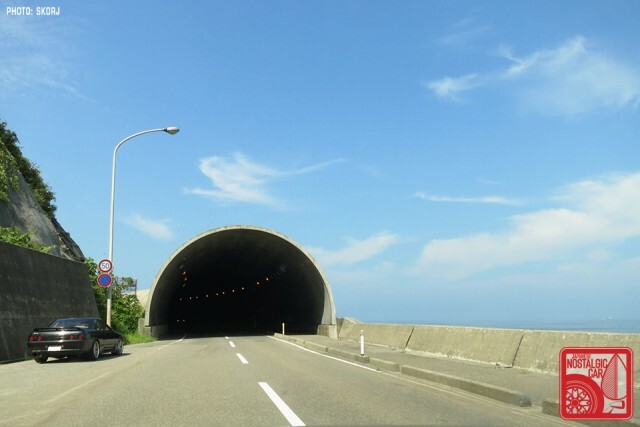 The combination of mountains sloping into the sea and one of the highest annual snowfalls in mainland Japan means that many sections of the Yamagata-ken coastal roads are protected by snow tunnels. On enjoyable 35°C days, it was a curious sight to see such heavy protection contrasting with families scurrying about with inflatable water toys. 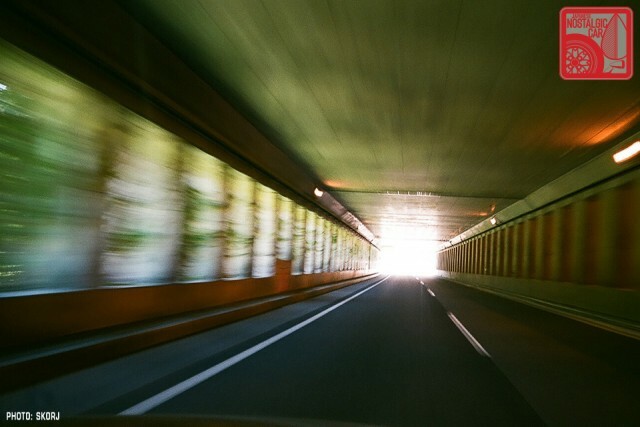 Stopping to photograph an R32 Skyline, one such snow tunnel took on the appearance of a portal directly into the blue summer sky. 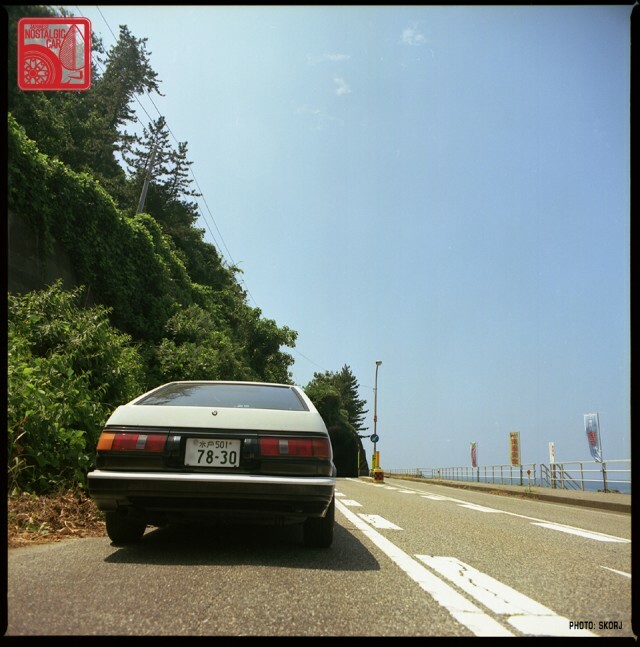 Parked at another tunnel a short distance further south, an AE86 Corolla Levin on mis-matched wheels and fat rubber waited for the next spirited drive down the gloriously twisty coast road. Looking for lunch on our last day, we decided on a Chinese restaurant, clearly identified by the moderately-sized fiberglass panda on the front lawn — because nothing says authentic Chinese like some good old-fashioned kitsch. 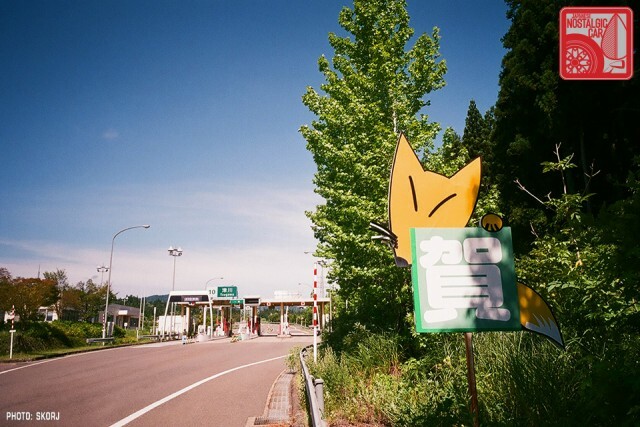 Unfortunately after four days exploring Yamagata-ken, we joined the expressway at Tsugawa near the Kirinzan onsen town — famed for its foxes — and made a clear run back into Tokyo. 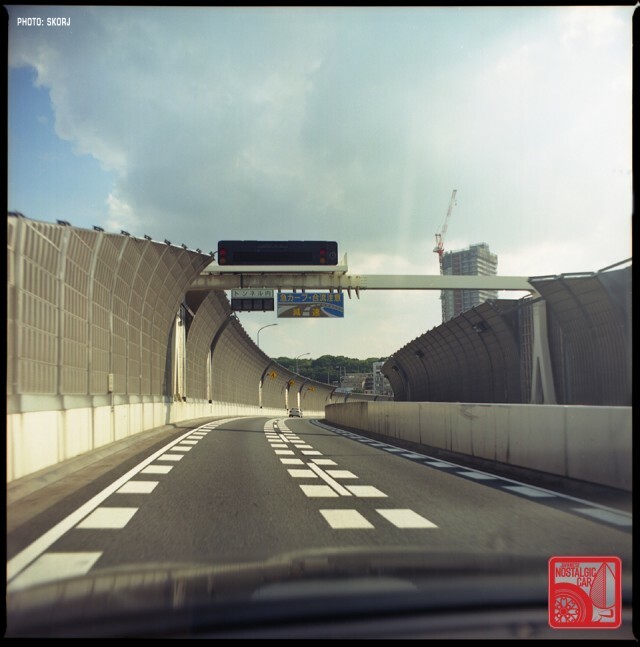 Finishing the last of our medium format film on the Shutoku Metropolitan Expressway sound wall, we contemplated our next journey. 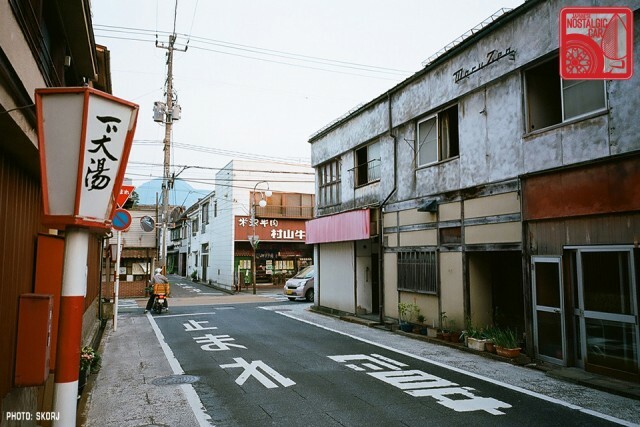 Skorj is a photographer living in Japan and co-founder of Filmwasters. Bonus photos below. 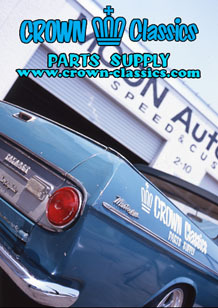 tagged: ae86, b120, bluebird, corolla levin, datsun, gt-r, honda, honda z, isuzu, isuzu 117, life, mark II, mitsubishi, nissan, r32, sanitora, skyline, toyota, U11, x30. Thank you for taking us to Japan (again) Skorj! Love these photos so much. Just beautiful. Not needed. 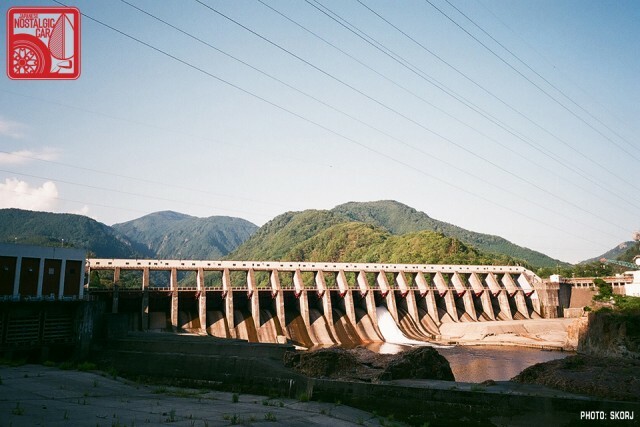 In our response work – over many years – we’ve measured the exposure across Tohoku. Except in the immediate vicinity of the Dai-Ichi plant; nothing. I’ve measured greater background radiation in the US and India. We like making them too. We’ll never run out of content either, so as long as there’s an interest and there’s space here, we’ll try to keep them going. Arigato. 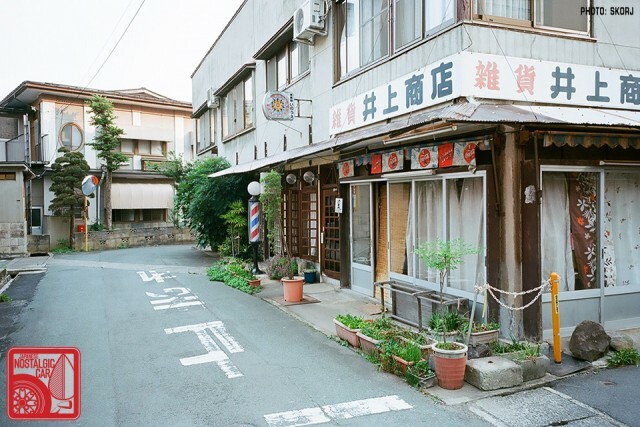 Amazing photos, totally evocative of the Japan I love to remember. Wonderful photo-essay. Thanks Tom. 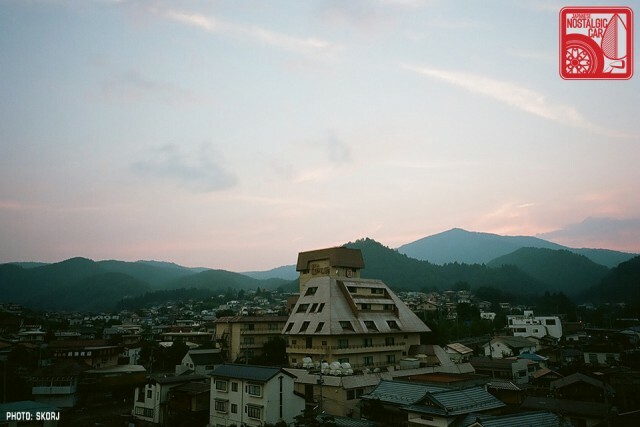 I try to capture just that, the feeling of life in Japan, and not the tourist cliché. Again really enjoyed the journey. However, I was reminded how much it can cost to get out there. Those toll roads are not just a matter of throwing a few coins from your ashtray into a basket. 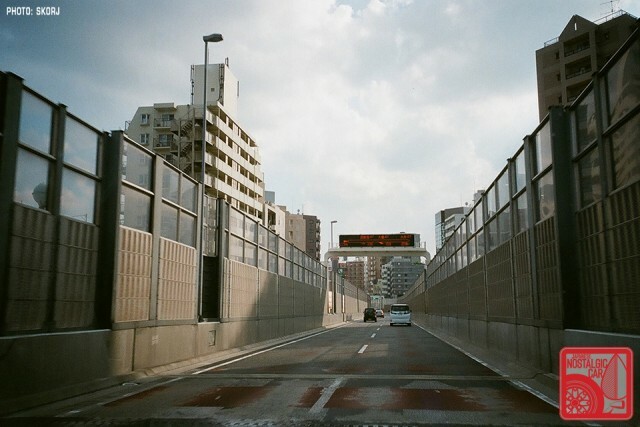 I remember picking up my family at Kansai airport and paying over $100 in tolls. Nowadays, my father-in-law has an electronic pass that automatically pays tolls and it is like watching a meter in a taxi as you go along, only it is your own car. Now that would make Travis’ actions a little more understandable, but I digress. As always, the small towns, back roads, and quiet countryside are a nice reprieve from our SoCal traffic. And I thiink “Tunnel into the Sky” might even get Miyazaki to reconsider his retirement. 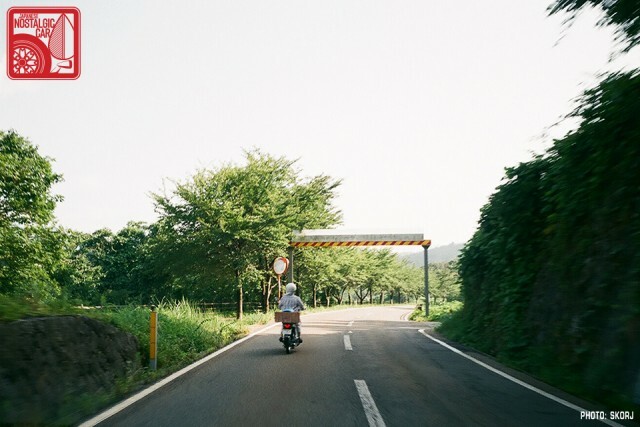 Considering the time and alternative of shinkansen or flying around Japan, we find the tolls moderate. Especially if we only use the expressways for access, and then the local roads. If you used expressways all the time, the ETC costs magically appearing on your credit card would make you wince for sure. 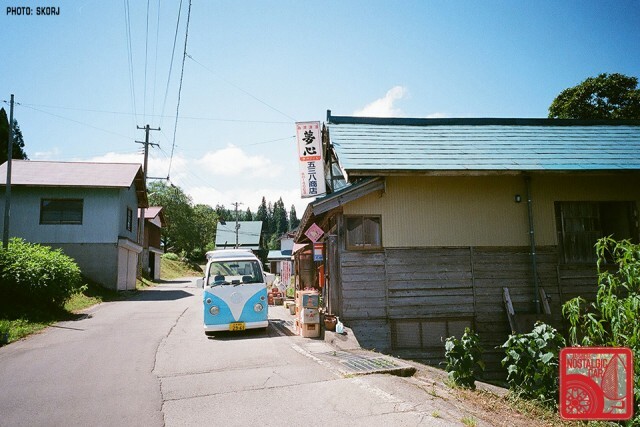 That scene would be at home in either a Studio Ghibli or Looney Tunes production. When the photo appeared in my Facebook feed, it took me a while to realize what I was seeing. It really does put the $8 in tolls to run the New York Thruway from Albany to I-287 in perspective. Not to mention the $1 New Hampshire charges to pass through Concord near their infamous rest area liquor stores. 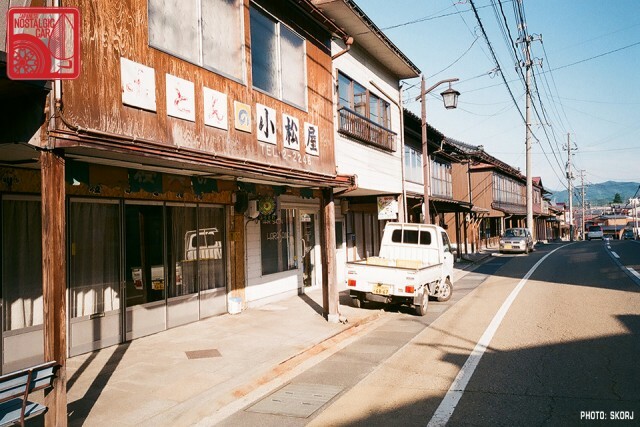 Sakata is a very nice town. I spent a whole summer camping out atop ChokaiSan volcano. ChokaiSan is what Mount StHelens is going to look like 100 yeaars from now. It had the same pyroclastic flow and lava plug [there’s a Shinto shrine atop the now cooled plug]. Another reason to visit again. Assume you were doing geological survey work? We’ve toured a few volcano in Japan, and I am always fascinated with the lava flows. Historically, there’s been some huge mainland eruptions, and one place even looks like Craters of the Moon National Park (asuming you’re in the US). Actually no, The US Navy had a comm station in Sakata and was having problems with reliable comms with ships in the Sea of Japan. I was part of an experiment to install a repeater on Chokai that would extend the range of line of sight comms. The 2 transportable shelters we used were left as climber rescue shelters when we left, they may still be there! We tried to remove them by helicopter but an approaching Typhoon made that not feasible! On a flat and level site overlooking the subcrater on the south flank of the main peak. By the way I was in the USAF, not the Navy. We caused a slight stir with the amount of beer we contracted the local guide to trek up the mountain! My dad was in the Air Force, in avionics. That sounds about right. My grandfather used to maintain the ELF yagi for similar, and I used to love touring the facility – high power amps, feeders, antenna, atomic clock, test bench, all great toys for a nine year old. 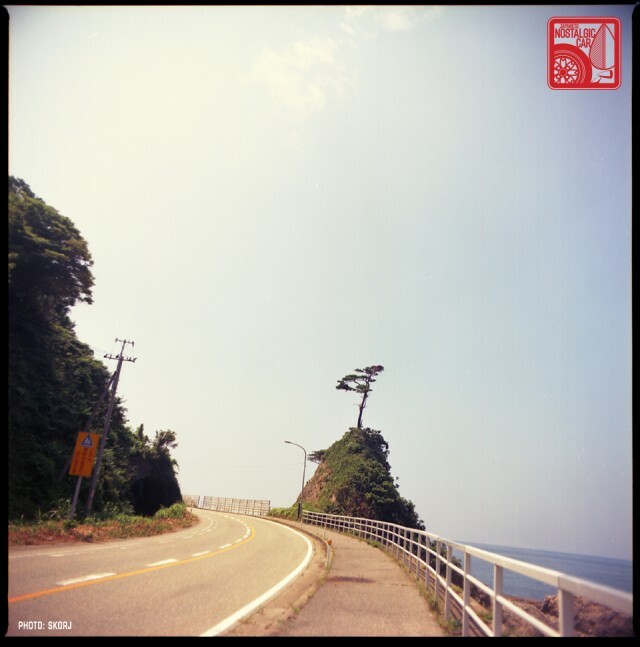 Wonderful journey! but 35°C seriously!?!?!?? It was 38C in some areas this summer, and unfortunately quite a lot of people died. Notably old folks, inside, dehydrating. Local communities established ‘water patrols’ accordingly. The last few years have seen a steady increase in summer temps, and more snowfalls in winter too. At least in Tokyo. 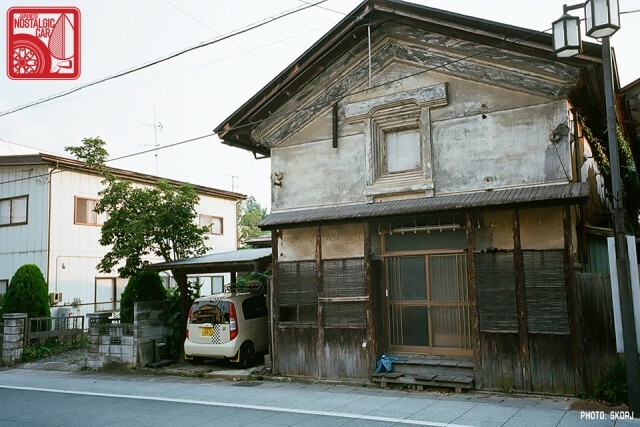 Love how your film work captures the old towns. I’m sure it’s been remarked before, but it is like looking at old photographs, or stills from those old movies I watched as a kid. So many print-worthy shots in this piece. Thanks, and yes, this is why I use film. To try and capture the feel of what it is like, without the dry brightness of a digital camera, where everything looks the same with no detail in the shadows. I used to sell prints, but these days just make hi-res files available on request for self-printing. With luck, a ‘presentation mode’ here to allow right-clicking of printable files might work. Not sure if the JNC crew have the space and time though. Feel free to email me directly if you want hi-res versions. Agree on film vs electronic format! Many years ago my wife and I attended our youngest nephew’s wedding in Tokyo. 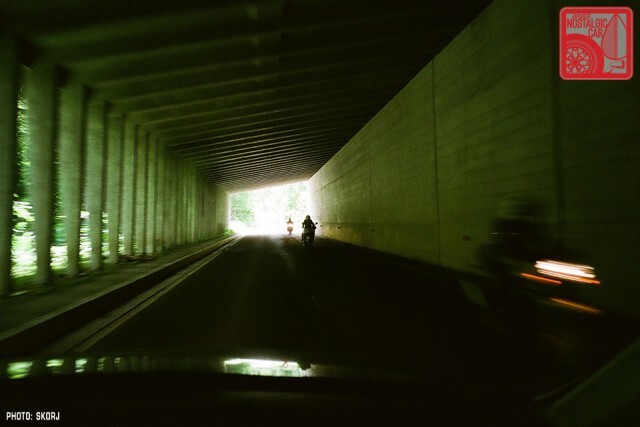 I used my Minolta SR7 and Fuji Film ASA 4000 color slide film. No one at the wedding and reception was even aware that I was filming! The shots all came out without any flash assistance and the quality was amazing! Even through the customary 3 changes of attire “required” at traditional weddings. What a trip… Thank you for sharing these awesome pics ! I love these features. 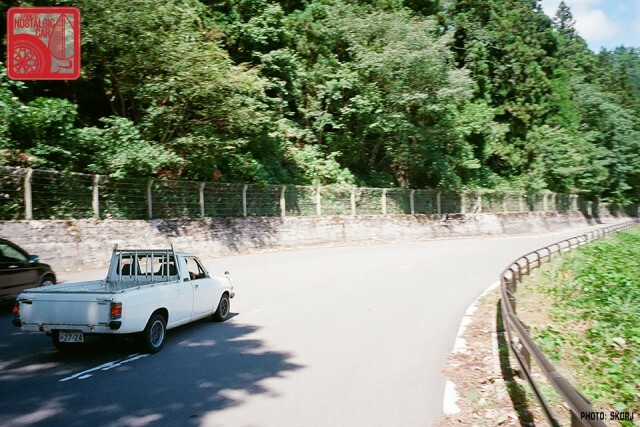 Wonderful film photography, elegant writing that really captures the feel of a place, great cars. Please keep up the excellent work. Wonderful photos and travel-log; thank you for sharing. Hey, when are you guys coming up to Fukushima? 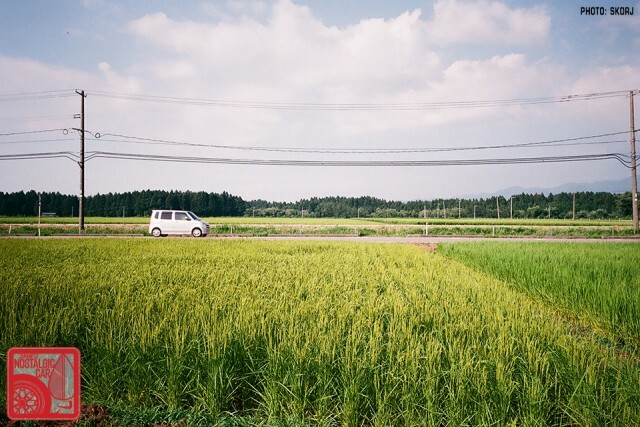 We drove through Fukushima-ken again for this trip, and highlighted a few places previously here: http://japanesenostalgiccar.com/2012/10/23/grand-touring-tohoku-part-02/ and here: http://japanesenostalgiccar.com/forum/showthread.php?7434-OT-Japanese-Roads-And-Other-Interesting-Places&p=83560&viewfull=1#post83560 too. 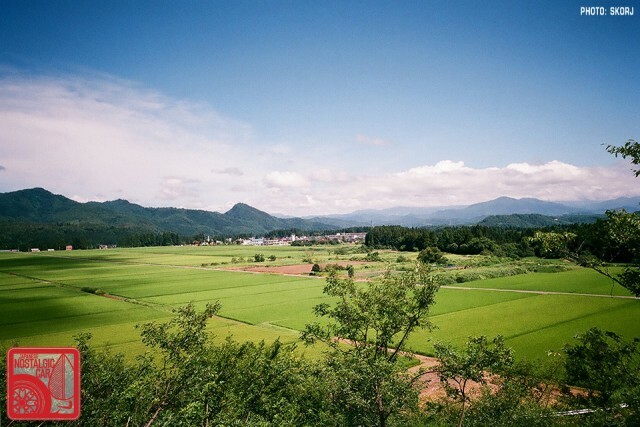 We’ll be back though for sure, as we love Tohoku in general… Message me directly as we’d love to visit? What’s the best way to contact you? I’m thinking a west to east route with a few stops at some places local to me. You’re Kuroneko on the board, right? Says it’s still full. It’s like watching old anime cartoons, but this is real life! Another great story Skorj. The brown X30 was very cool. I remember the the round headlights. I saw many when I was around six or seven years old. 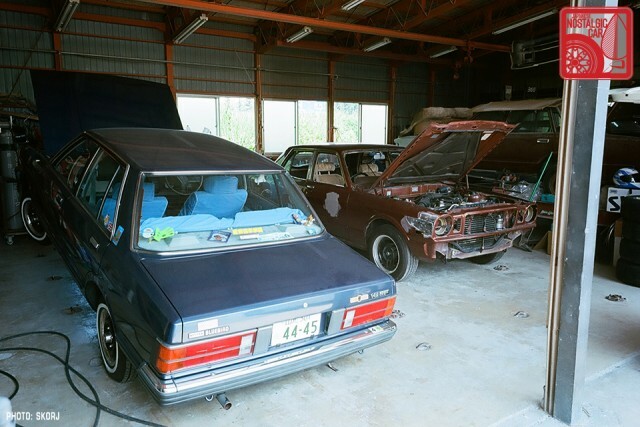 (Here it was a Cressida I believe). Awesome post, as always! I wish I could go on one of these tours with you! I’ll be back in Tokyo in November! Can’t wait! Avoid Tokyo! 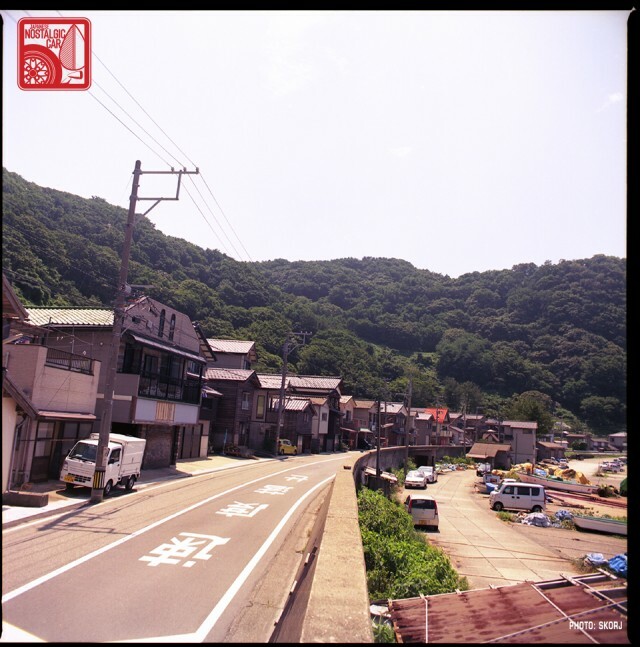 Get on a shink, rent a car or take the local train like Censport above, and book a few ryokan. Make sure you take lots of film. 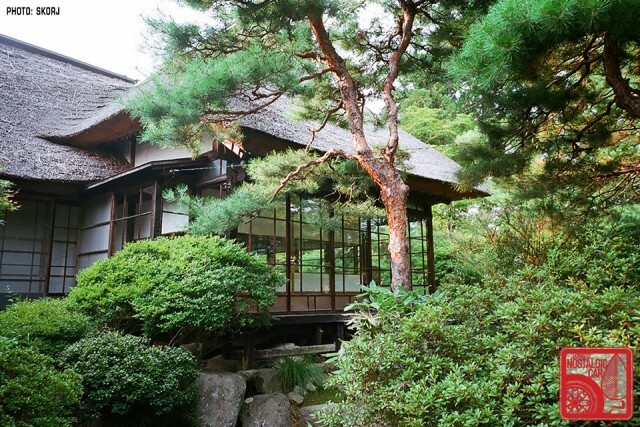 Especially the Ryokan! Most casual observers shrink at the cost. They don’t realize that the cost includes Dinner and the next mornings breakfast ! Fresh local food cooked to order in your room! And you cannot beat the hospitality. 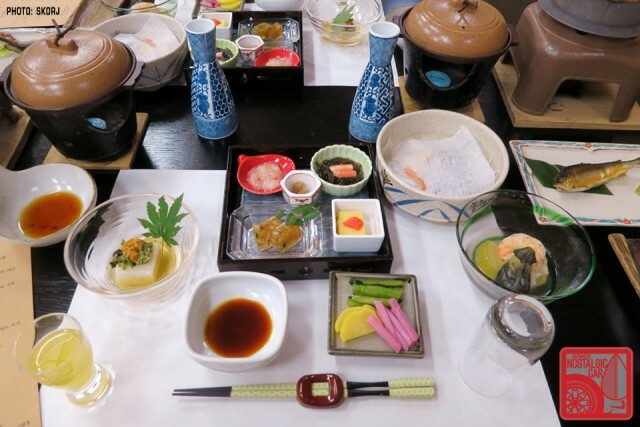 Any meal at a local restaurant would more that consume the Ryokan cost. Yeah, this will be my 3rd trip back to Japan. I shot many rolls of Ilford last time I was there. 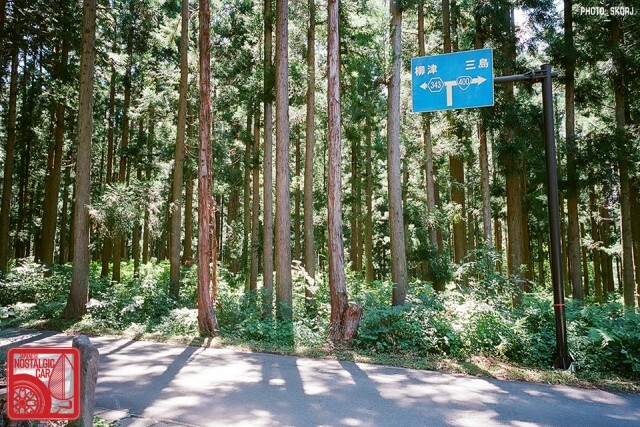 I do love Tokyo and we are planning some day trips out of the city. We’re only there for 2 weeks so I am not sure how much ground we can cover.